Punja Sahib Transport Co. is a New Delhi based Car Rental Service Provider and we can provide the travelers with a wide range of Premium Cars. The fleet of the Premium Cars is inclusive of Toyota Corolla, Honda City, Chevrolet Optra and Lancer and we ensure timely reverts to your queries. Your plans of roaming around meet a comfortable and well-maintained fleet of Premium Cars that we have, with friendly and skilled drivers being the icing on the cake. 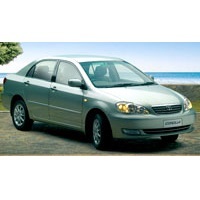 Manufacturer Toyota Kirloskar motors Honda Siel Cars India General Motors India Mitsubishi Motors Ltd.